The seed of an idea germinated atop a mountain in Idaho as Jason Hairston and long-time buddy Jonathan Hart were hunting elk and lamenting how outdoor clothing was so inferior to mountaineering clothing. Jason Hairston's goal isn't just to design innovative, uncompromising backcountry gear for hunters, but to flip the script on the entire sporting goods sales model. The question atop that mountain was a simple one: Why? Why couldn't hunting clothing be as good — athletically cut for mountain hunters and constructed of high-tech material that stretched, moved, breathed, and insulated? The short answer was: It could be — and it would be&apos;¦if Hairston's dream became a reality. Hairston and Hart ran with the idea and launched Sitka in 2005, based off some rough ideas, some store-bought mountaineering product examples, and a dream. Where so many other small businesses fail, Sitka took off, demonstrating that hunters were clearly looking for performance clothing and gear. Sitka grew rapidly and eventually was successful enough that GORE-TEX bought the company, which freed up Hairston to move on and pursue other businesses endeavors. Enter KUIU. The concept for KUIU was simple: "Make the lightest- and highest-performing mountain hunting clothing possible," combined with uncompromising quality and uncompromising performance, and share the whole process from inception to delivery with the consumer. "It's the pinnacle of mountain hunting, and as such, it's the most demanding on gear. And, really, that's why we exist — to build gear that meets these demands." Customer sharing and feedback from the earliest stages of development was a revolutionary idea, one that runs completely counter-intuitive to the existing retail model, where technology is kept secret, exact materials are never revealed, and manufacturers exist only as nebulous shadows. However, the simple concept would not be without its challenges. In an era where many manufacturers are racing to the bottom — all competing to offer the lowest-priced clothing and gear while maintaining the highest margins — something has to give. Unfortunately, the simplest solution for many manufacturers is to cut corners and quality. To keep quality uncompromisingly high and still remain competitive on price, KUIU's financial cuts had to come from somewhere else — in this case, the retailer. "From my experience at Sitka," Hairston says, "I knew what I wanted to make wasn't viable within the existing retail model. It would simply cost too much. So I thought, why not take the middleman out of the equation? By selling online direct, we could make the best products, keep the prices down, and manage every aspect of the customer experience." From the beginning, KUIU's growth has been a nearly vertical climb, literally and metaphorically. 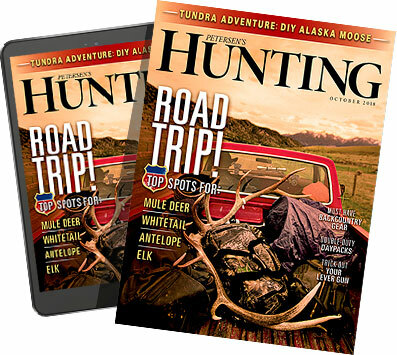 "I grew up reading all the lore of hunting from Fred Bear to Pope to Young, and it was the adventure of the hunt that always captivated me," Hairston says. "And that is what I want to come through with the brand of KUIU. It is designed to withstand the rigors of the wilderness, to not let you down when the going gets rough, and to excel under the toughest of conditions." To keep the creative juices flowing, as well as to field-test products to the extreme, Hairston keeps climbing the rugged mountains and backcountry that sheep call home — testing and developing products in the areas of the world he loves most. It's wild, tough country with steep, scree-covered slopes, raging glacial rivers, and incredible swings in temperature and moisture like no other place on earth. In short, it is the ideal proving ground for gear and clothing. As Hairston puts it, "It's the pinnacle of mountain hunting, and as such, it's the most demanding on gear. And, really, that's why we exist — to build gear that meets these demands." The key to KUIU's success is constant innovation. This is where form meets function, and the highest high-tech materials change what we expect from hunting gear. Carbon fiber is utilized in the company's pack frames to lend rigidity without weight. QUIX Down is treated at the fiber level with Kudos DWR to give lightweight warmth without the fear of moisture robbing insulating properties so commonly associated with traditional down. Every year new technology emerges that finds its way into KUIU products: Toray materials, QUIX Down, ULTRA merino wool, and stretch fabric without elastic are all examples of KUIU's brand identity of creating uncompromising gear.